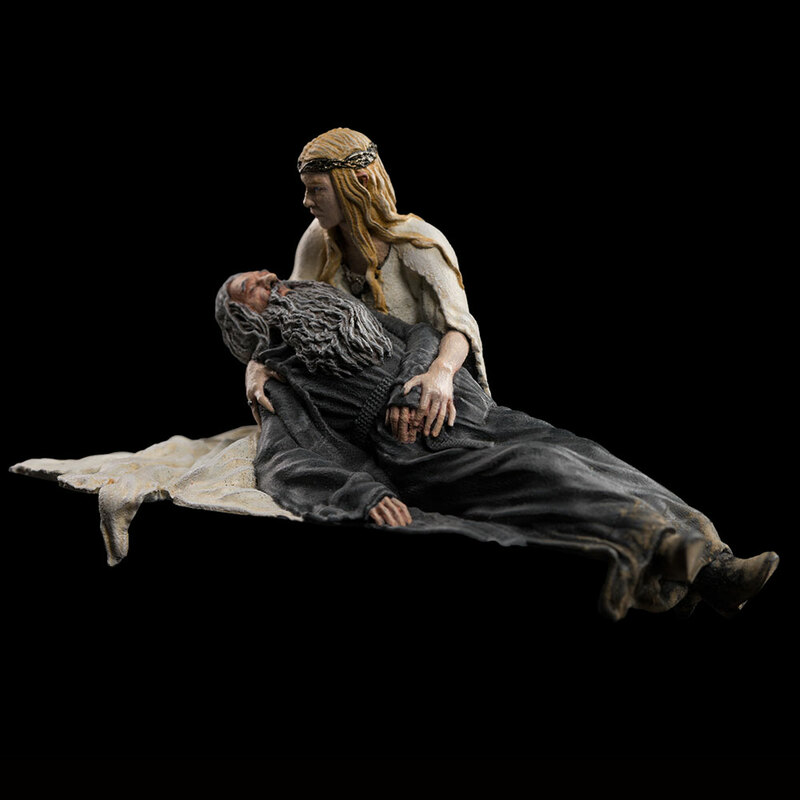 Amid the thorns and spells of Dol Guldur, the Lady Galadriel of Lothlorien cradles Gandalf the Grey, barely alive after his mistreatment at the hands of the Necromancer’s minions. 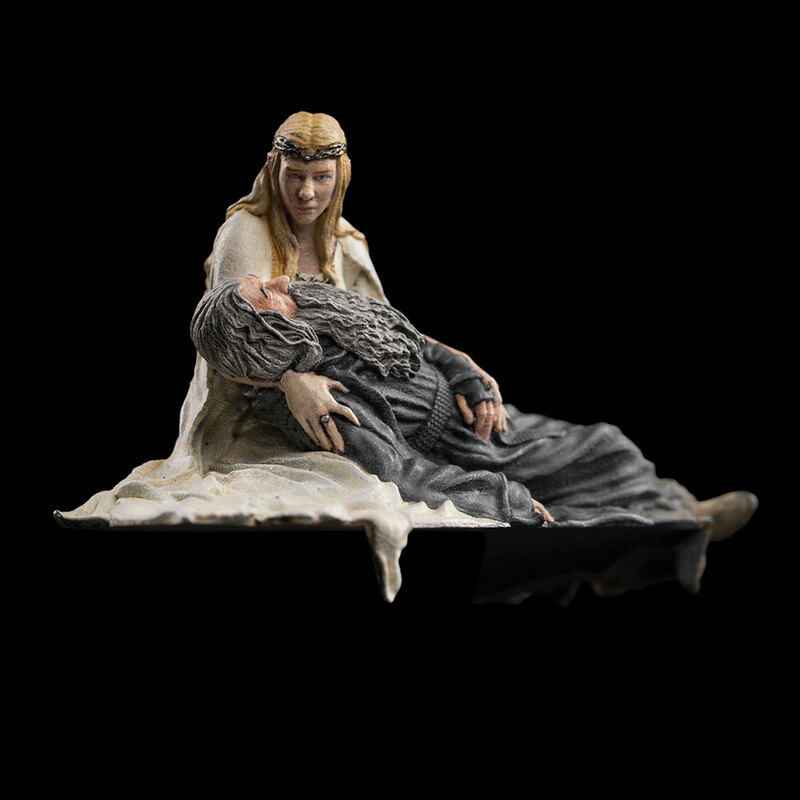 Immortalise this pivotal moment with Galadriel at Gandalf's Side: the first figure released from Weta Workshop's 1:30 Scale Collection. Please note that the first three product images of this piece show an early pre-production prototype. 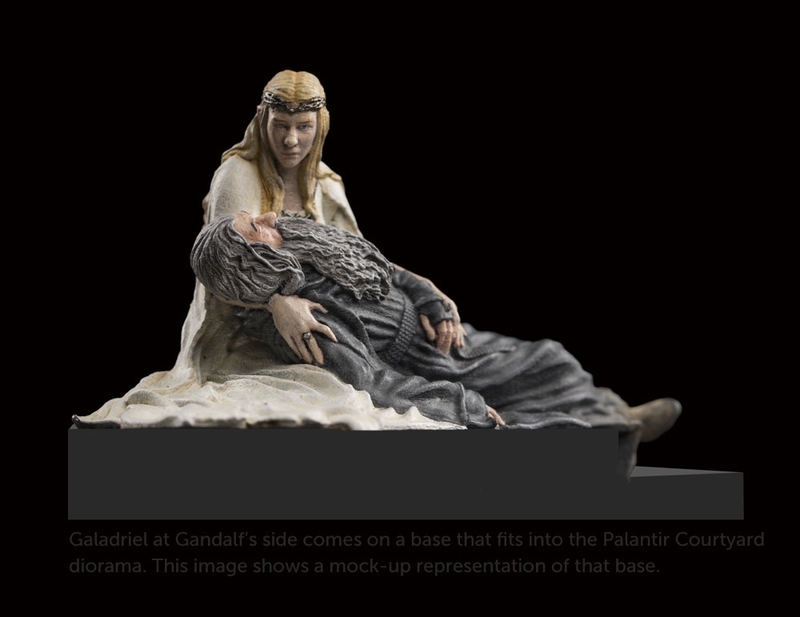 The final piece will come on a resin base block that fits into the Palantír Courtyard diorama. See the fourth product image for a mockup representation of this.